). 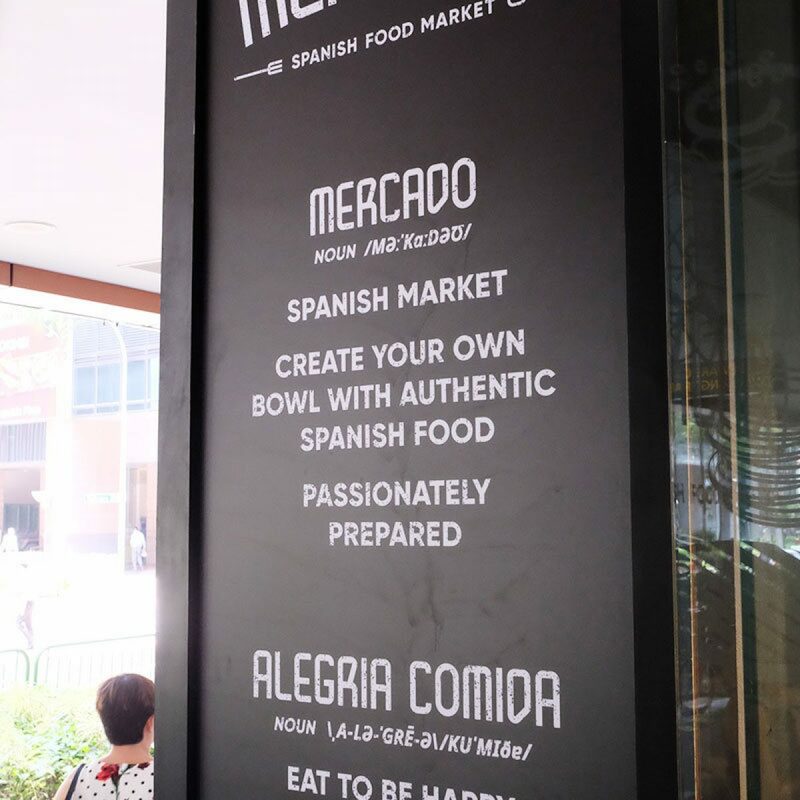 Maybe age is catching up or I’ve gotten really nostalgic or really a combination of both, I’ve been craving for food I’ve not eaten since I was a child (many many moons ago…). 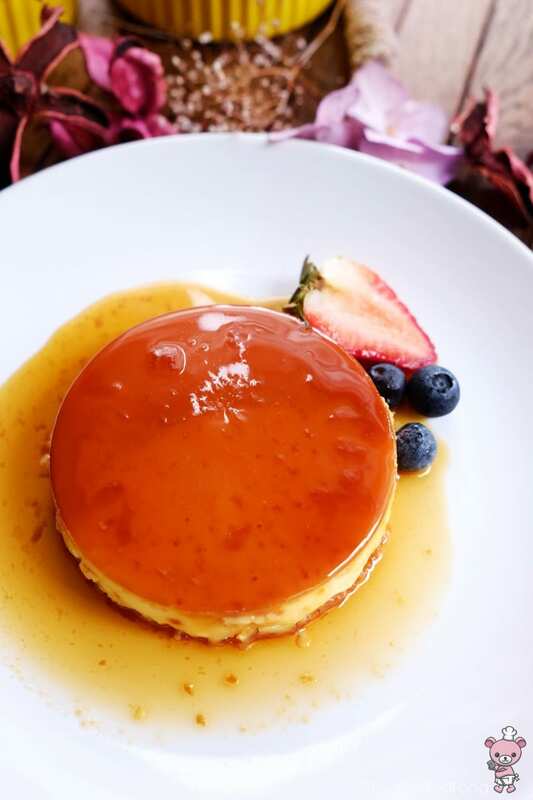 In case some of you are wondering how crème caramel tastes like, the custard texture is very much like crème brulee – soft and silky, that melts instantly when it hits your tongue. 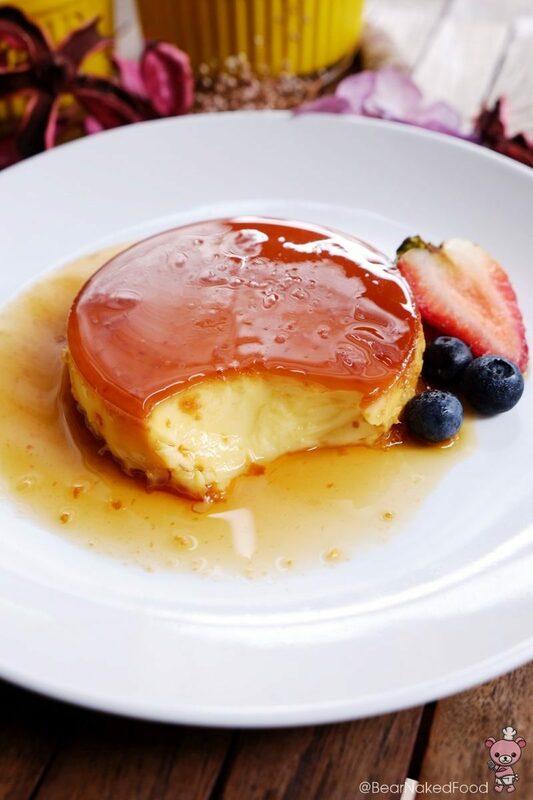 The difference is the caramel / burnt sugar is baked together with the custard, resulting in a warm, caramelized tone on top of the custard. 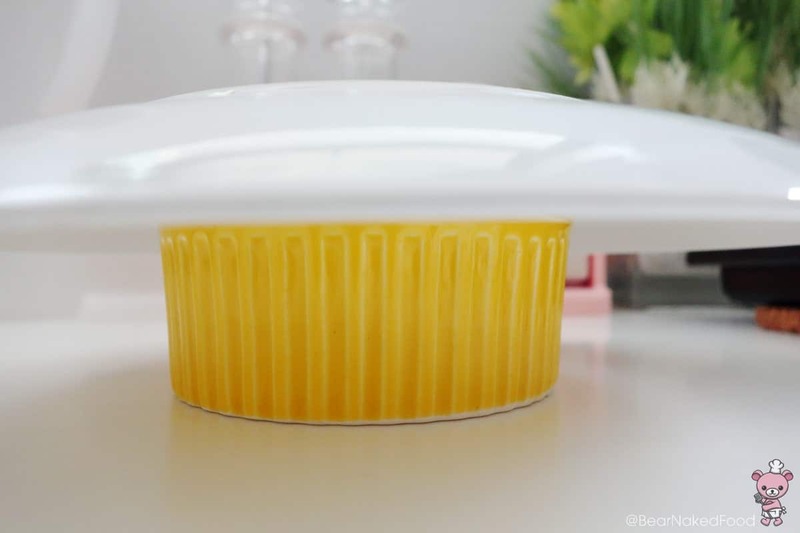 Butter or spray 4 ramekins with vegetable oil lightly. 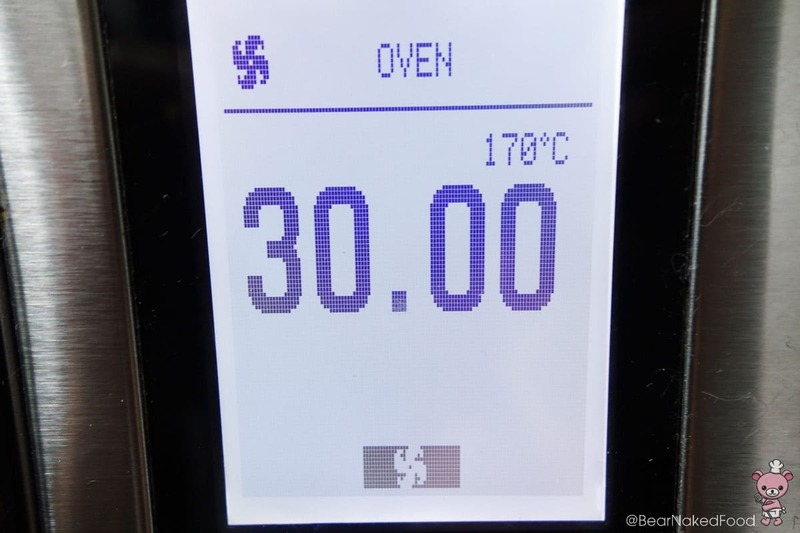 Set them on a deep tray and keep them in a preheat oven at 170ºC. 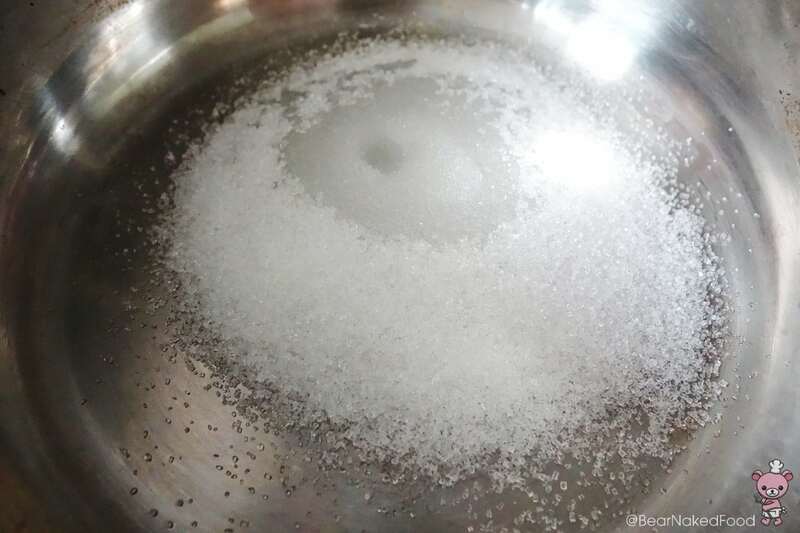 In a sauce pan, add the sugar and water and stir with a wooden spoon until the sugar dissolves. Bring it to boil without stirring the sugar mixture. 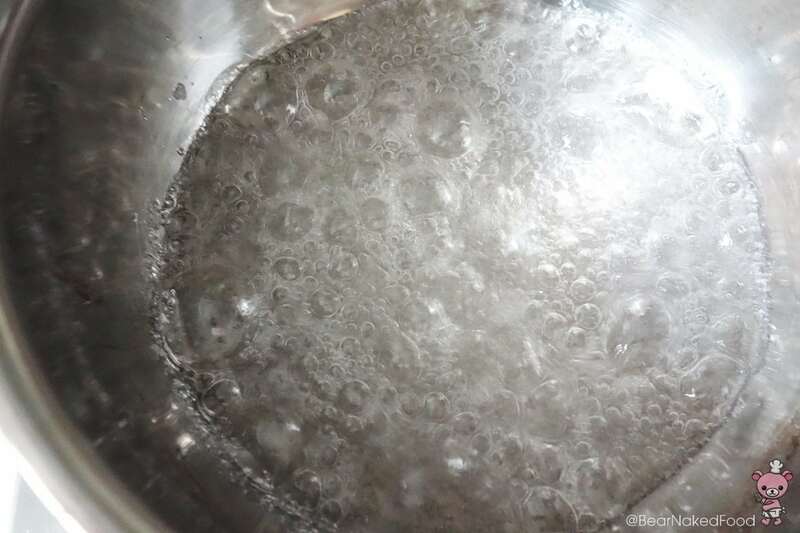 When you see the bubbles forming, swirl the sauce pan vigorously around so that the bubbles disappear and form a smooth glaze. Do not stir the sugar mixture with spoon or it will not caramelize. 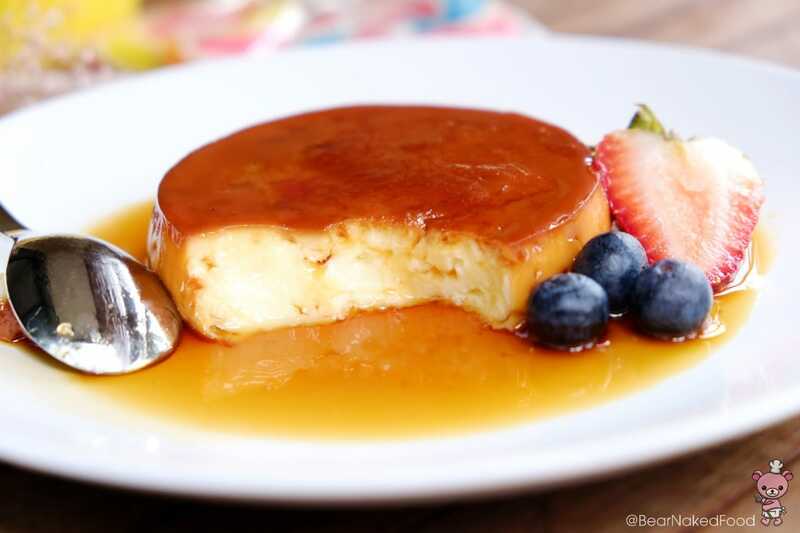 Repeat until the sugar turns into caramel. Do not burn the sugar. 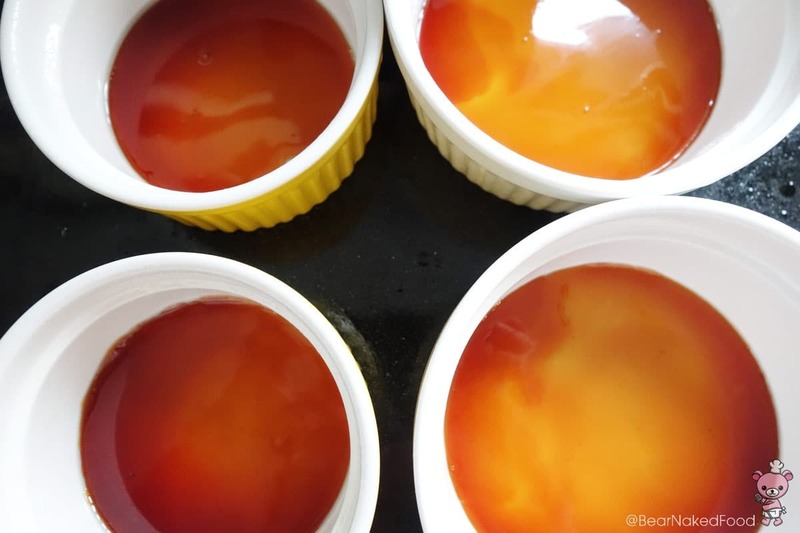 Take your tray of ramekins out from the oven and quickly pour the caramel into each ramekin. You want to do it swiftly as the caramel will harden in no time. Caramel set in 6 seconds! This takes a bit of practice. Be careful not to burn yourself in the process. Set it aside. 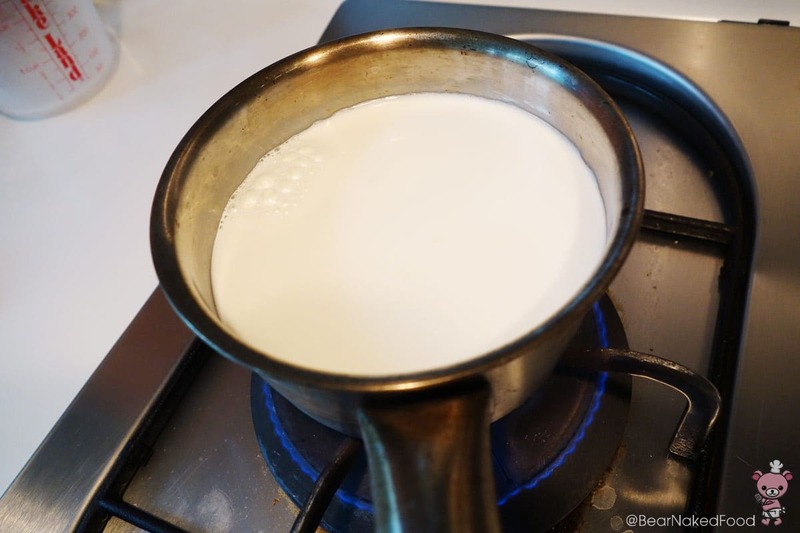 Heat the milk in another saucepan and bring to boil. Set it to cool for 10 mins. In a large bowl, beat the eggs, vanilla extract, salt and sugar together until pale yellow. 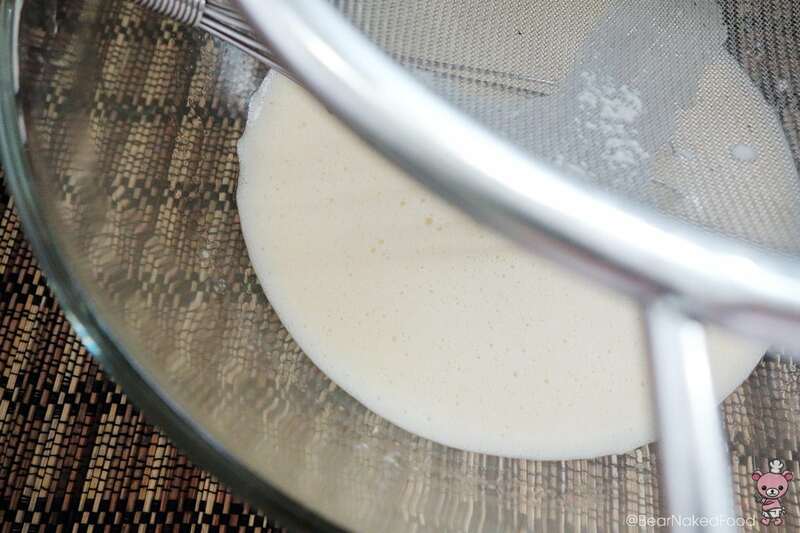 Strain the milk into the egg custard and mix gently. 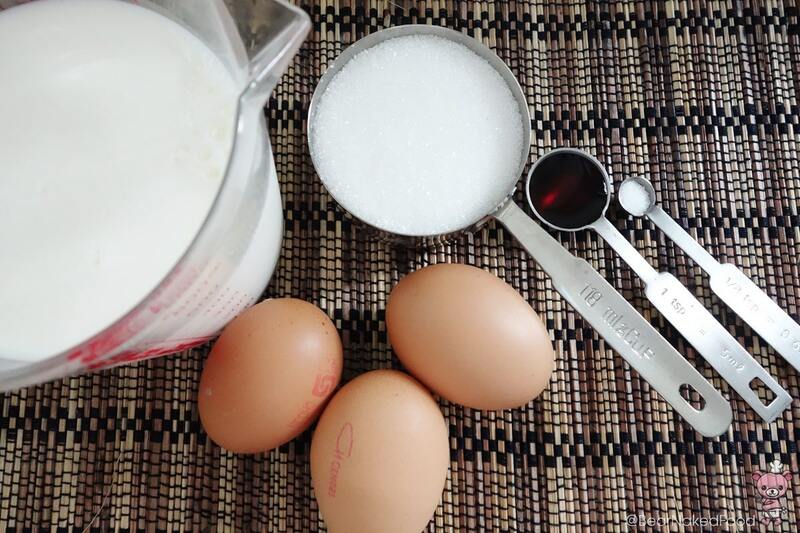 Make sure the milk is at lukewarm temperature or you’ll have scrambled egg mixture. Use a ladle and pour into each ramekin. 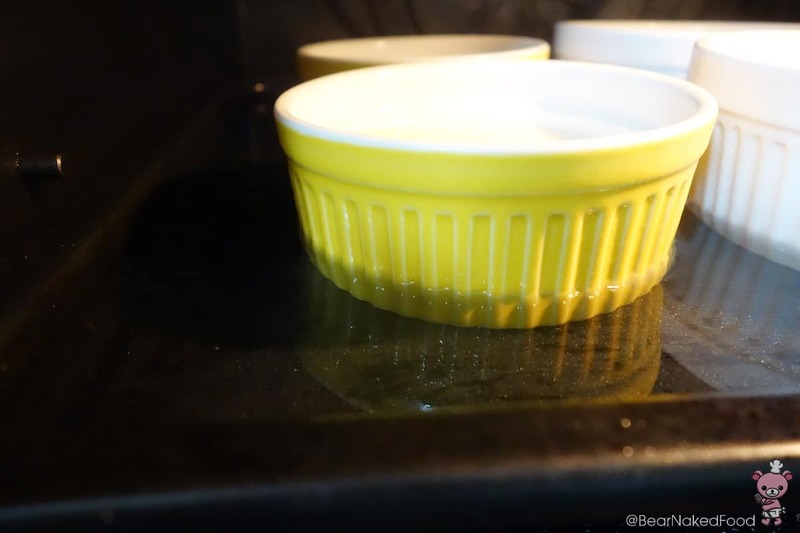 Put the tray into the oven and pour hot water in the tray until it covers half of the ramekins. The water bath will ensure the custard is baked thoroughly and evenly. 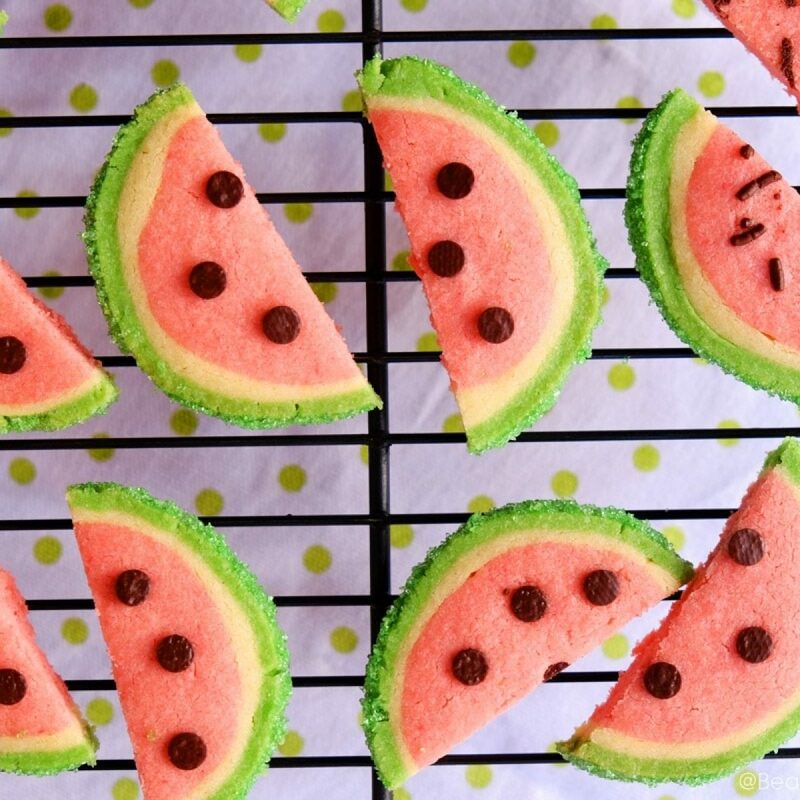 Bake them for 30 mins for until set. 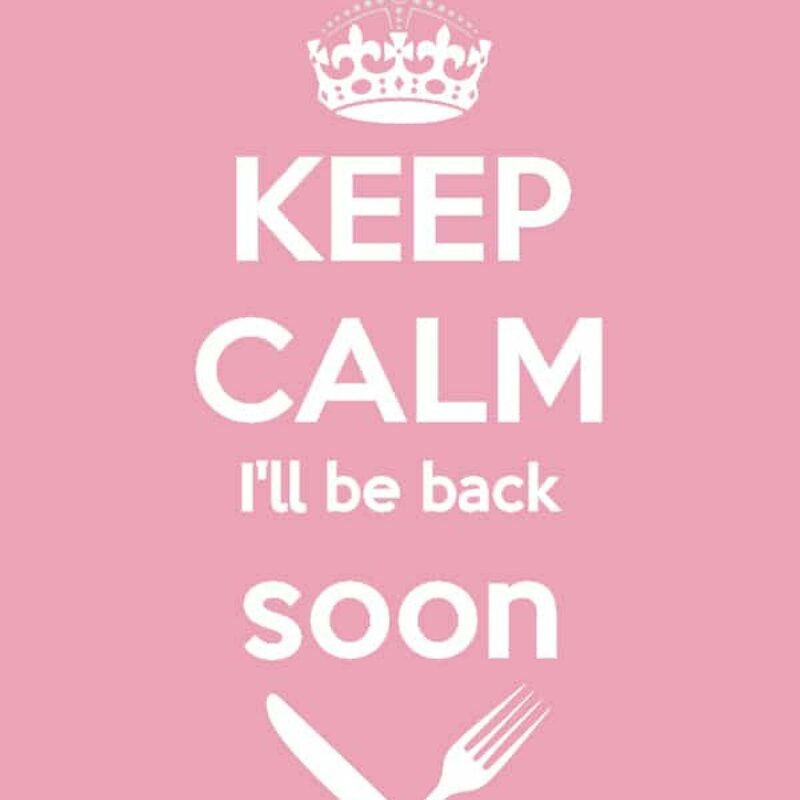 See you in 30 mins’ time! 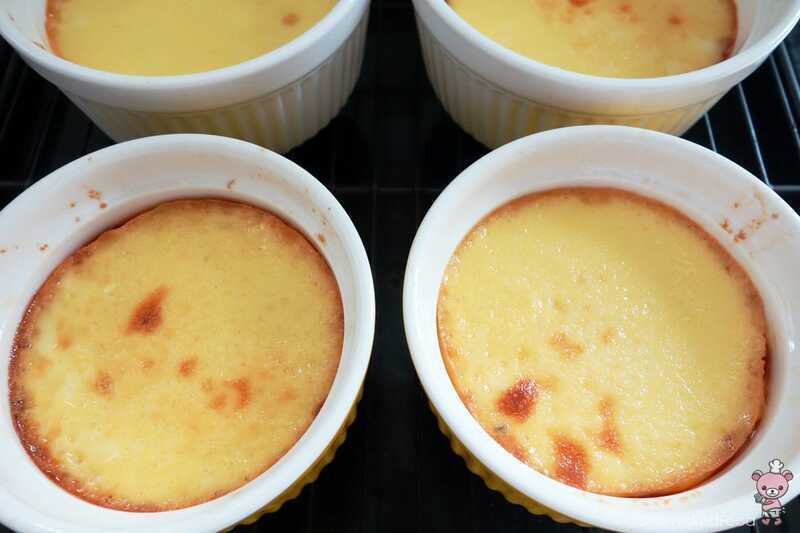 To test if the custard is done, jiggle the ramekin slightly and the centre should be firm. 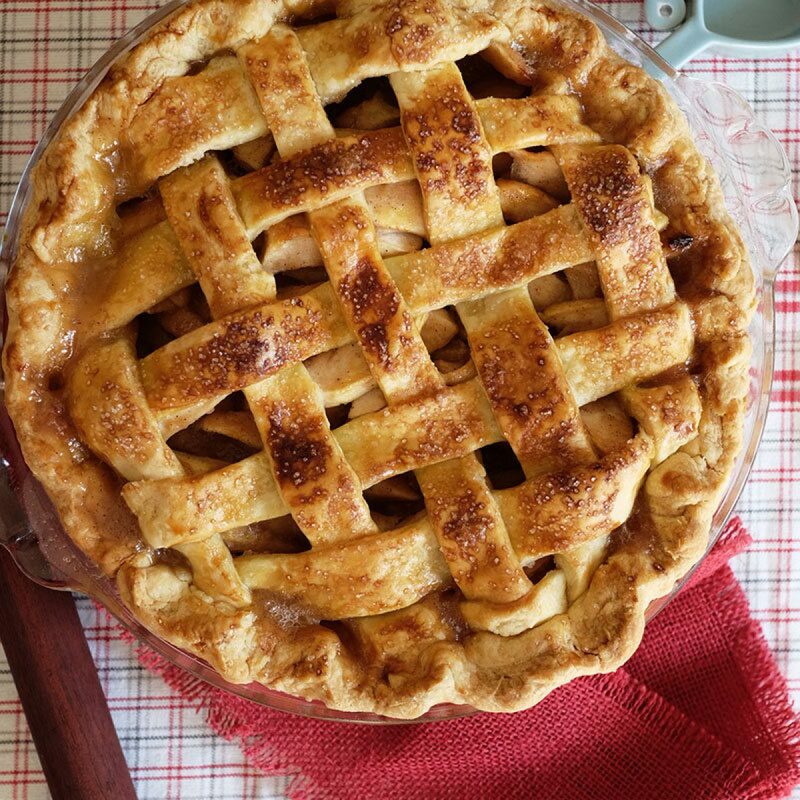 Chill and refrigerate overnight until ready to serve. 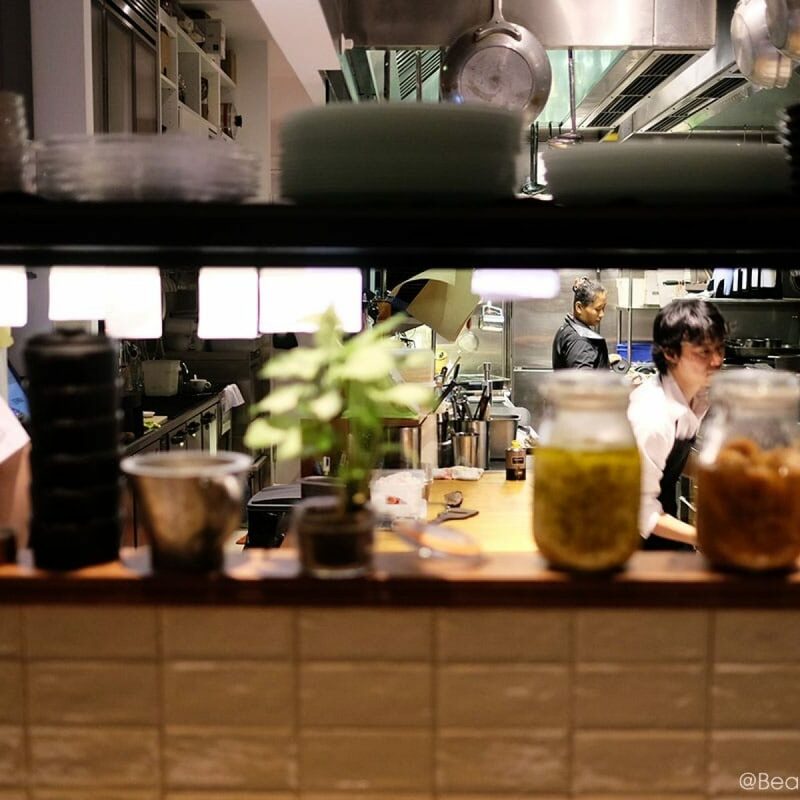 Use a thin knife and run it around the edge of the ramekin. Be careful not to cut into the custard. Put a plate on top and flip it over. 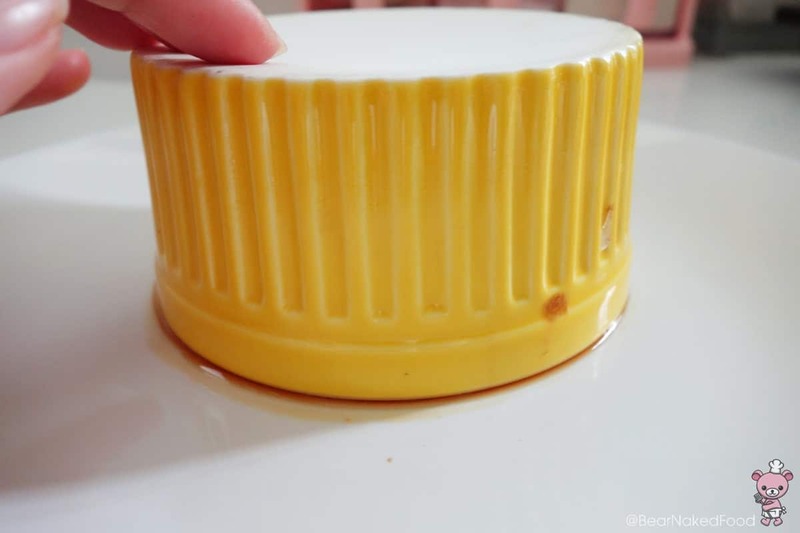 Butter or spray 4 ramekins with vegetable oil lightly. Set them on a deep tray and keep them in a preheat oven at 320°F/170°C. Bring it to boil without stirring the sugar mixture. 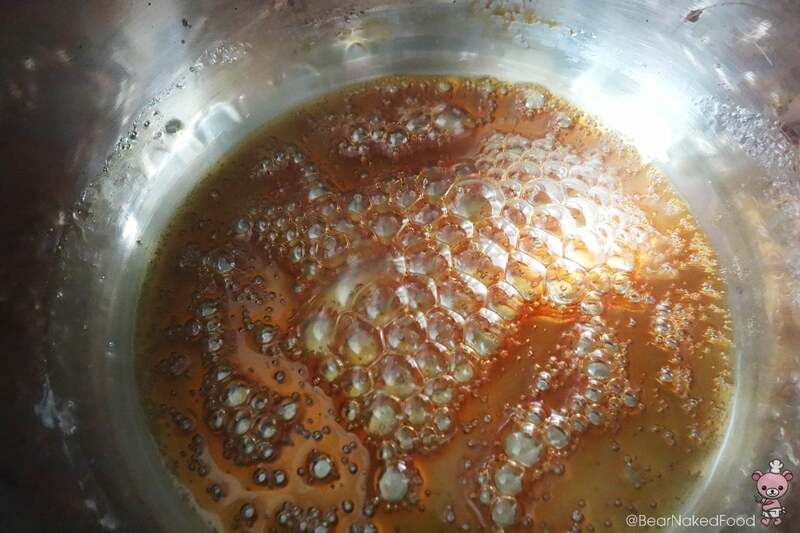 When you see the bubbles forming, swirl the sauce pan vigorously around so that the bubbles disappear and form a smooth glaze. Repeat until the sugar turns into caramel. Do not burn the sugar. 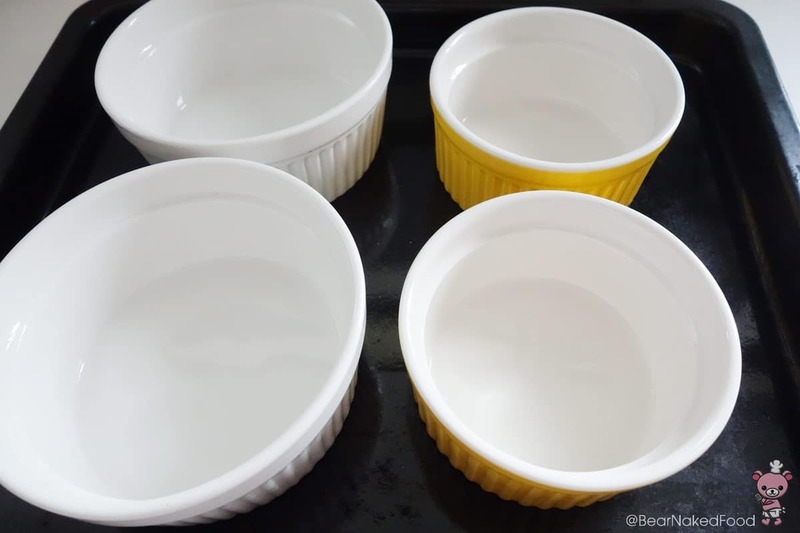 Take your tray of ramekins out from the oven and quickly pour the caramel into each ramekin. You want to do it swiftly as the caramel will harden in no time. This takes a bit of practice. Be careful not to burn yourself in the process. Set it aside. 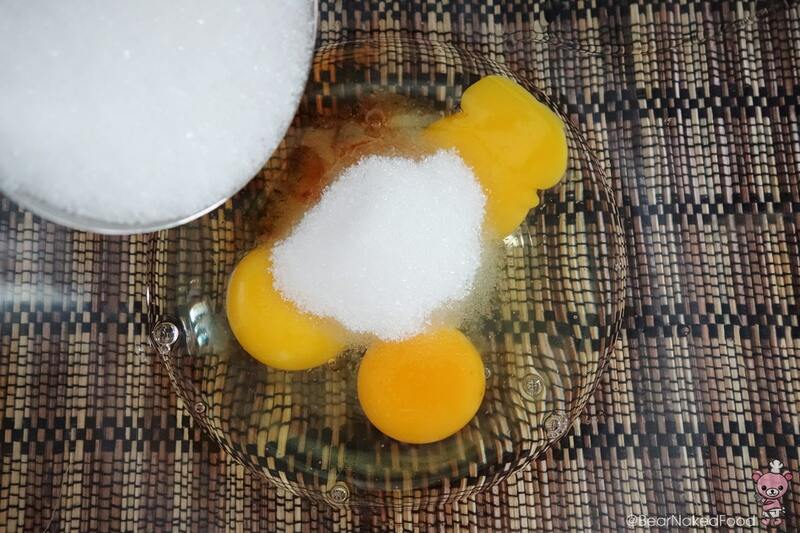 In a large bowl, beat the eggs, vanilla extract, salt and sugar together until pale yellow. 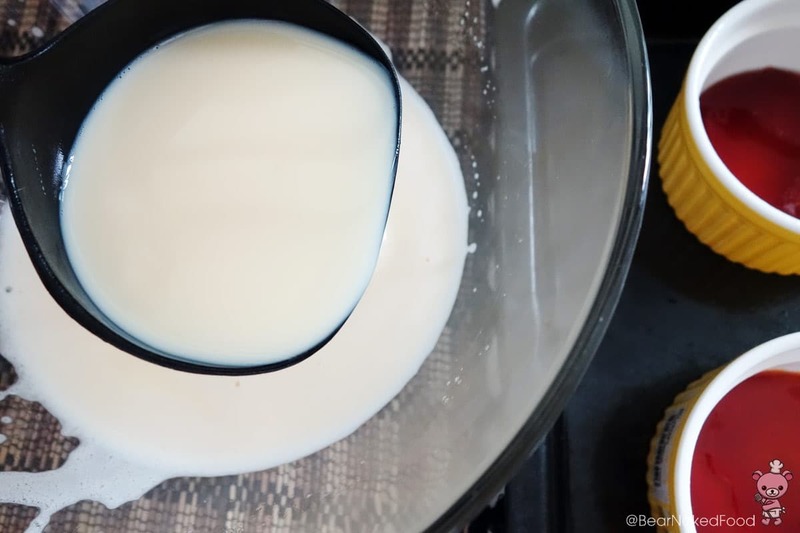 Strain the milk into the egg custard and mix gently. Use a ladle and pour into each ramekin. Put the tray into the oven and pour hot water in the tray until it covers half of the ramekins. Bake them for 45 mins for until set. 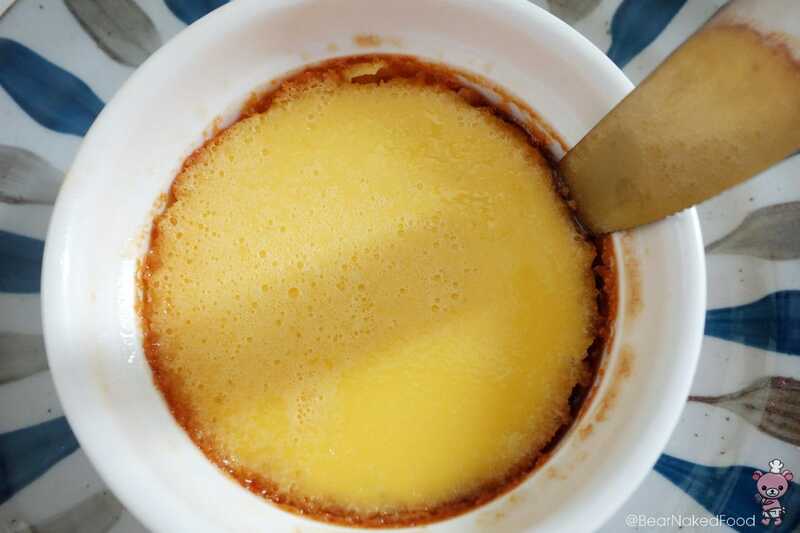 To test if the custard is done, jiggle the ramekin slightly and the centre should be firm. 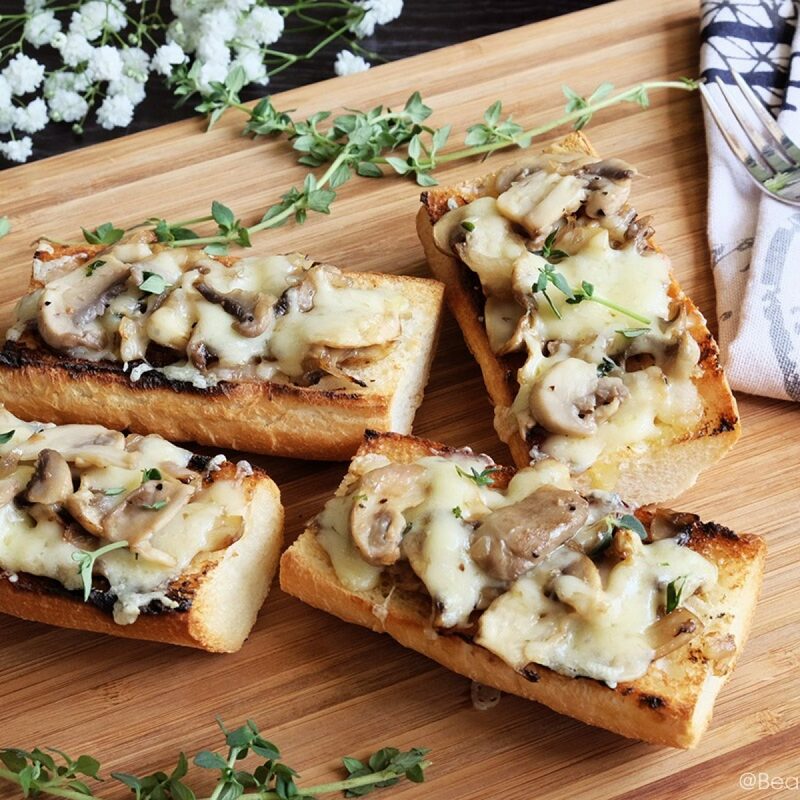 Chill and refrigerate overnight until ready to serve. Use a thin knife and run it around the edge of the ramekin. Put a plate on top and flip it over.